You MAY have noticed we're alllll about avocado this month. We're so pumped about our favorite alligator-skinned berry, we've compiled some fun facts for you. Take a look at the oddities of this delicious commodity! It takes a full year for the fruit to grow. It might only take a few minutes to eat, but avocados aren’t ready to be picked until they’ve matured at least 12 months. Eating avocado is good for your cholesterol. A study from the Journal of the American Heart Association found that people who ate an avocado each day were able to lower their "bad" cholesterol — the LDL cholesterol — by about 13.5 mg/dL. An avocado a day? Count us in! You can eat the whole thing, pit and all. 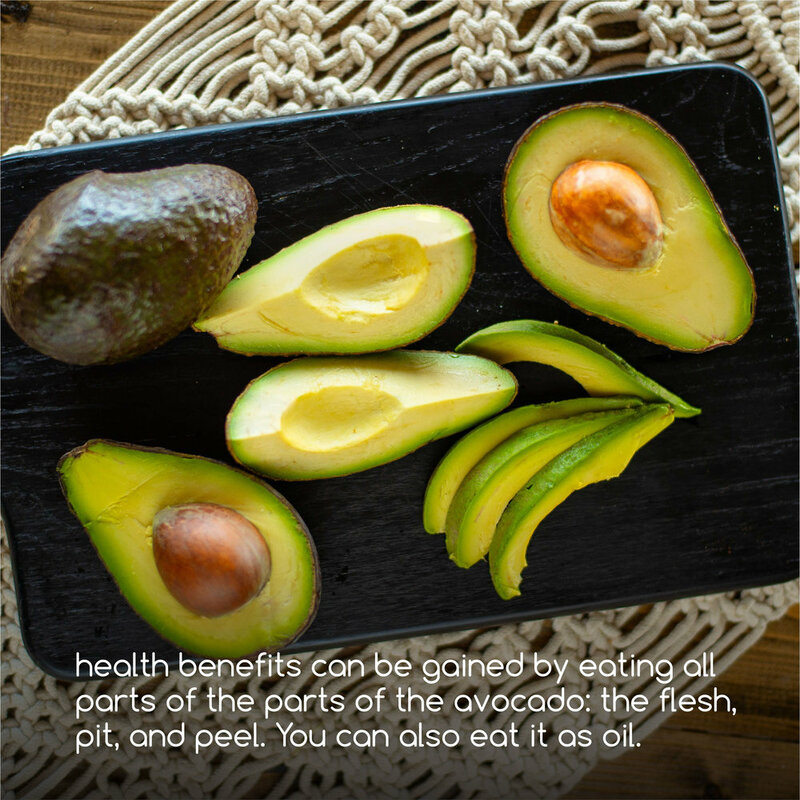 According to Men's Fitness, studies have found that there are health benefits to be gained from all parts of the avocado: the flesh, pit, and peel. You can also eat it as oil. 95% of commercially grown avocados come from trees descended from a single tree owned by a California mail carrier. Scientists have unearthed evidence from a cave in Mexico’s Coxcatlan in Mexico, which reveal that avocados were used as far back as in 10,000 BCE. Mayo substitute: Instead of spreading a layer of mayonnaise on a bun, add a few slices of avocado. You achieve the same creaminess and neutral taste in a lighter, vegan way. Avocados even help with skincare! They are packed with nutrients, such as vitamin E and A, B-vitamins, folic acid, and potassium, which are enriching to the sensitive area surrounding your eyes and face. Vitamin A helps to remove dead skin cells from the body and the amino acid glutamine helps to clean and protect the skin from environmental damage. Mash an avocado until smooth and apply it around your eyes and face. Allow it to sit for 5-10 minutes. Rinse with warm water and pat dry with a towel.